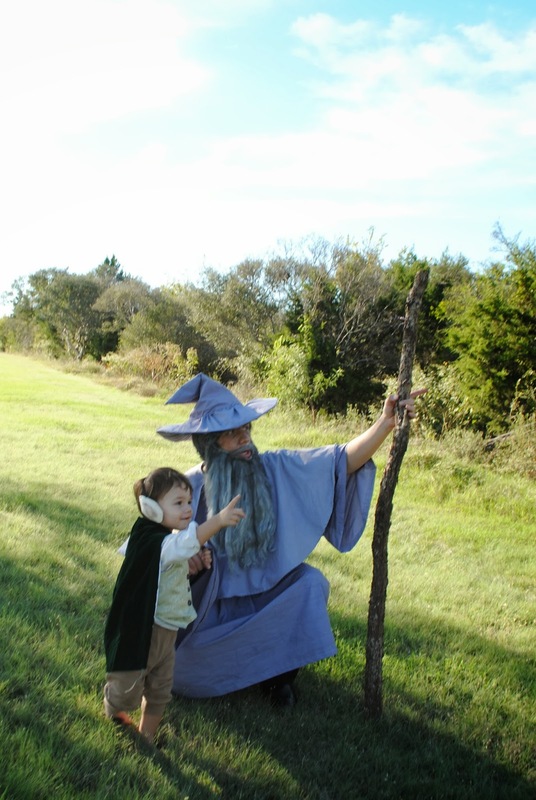 Despite a rough week, I managed to make Gandalf and Bilbo costumes for Gunnar and Jack! G is a huge LOTR fan and is currently reading through all of the histories, so when I offered to make him a Gandalf costume, he was ecstatic. For Gandalf I dyed my stash of estate-sale $1 sheets gray and then threw together a robe (gathered at the front and back for volume) and mantle, then used the scraps to cover a cheapo black witch hat in a patchworky style. A costume beard, age make-up, and some gray hair-dye completed the look! My only regret is not making it longer. I failed to account for belting it and lost several inches in length. I won't make that mistake again! 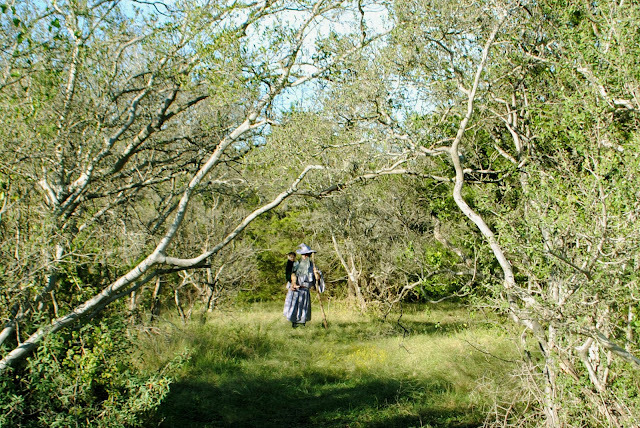 For pictures we went to San Antonio's Phil Hardeberger Park to get that shire/forest look, and to find a "wizard staff" among the broken branches. Overall I'm really happy with how it came out! 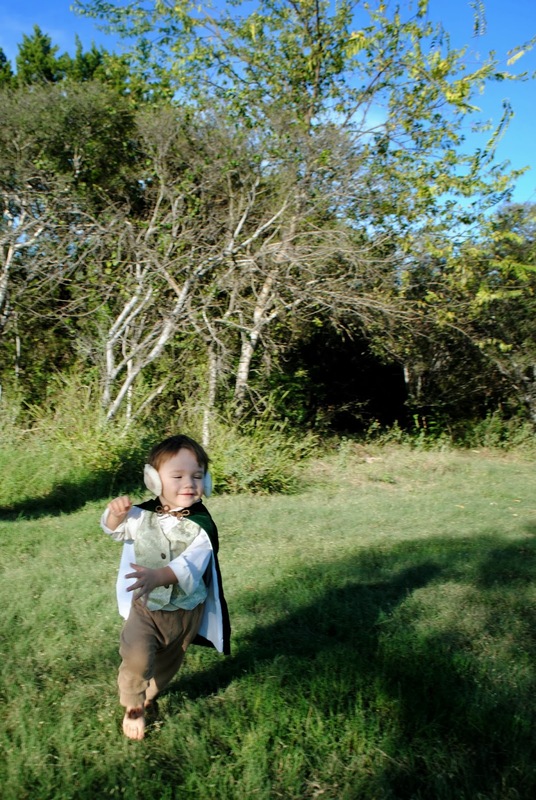 If I weren't pregnant I probably would have tried to make an Arwen or Eowyn costume for myself too!